The staff and guides at Jakada Tours were simply awesome. Our small group of 4 had an incredible time and made memories that will last a lifetime. 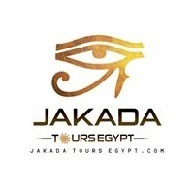 I highly recommend Jakada Tours Egypt and hope to return to Egypt again in the future. Forget all your worries about visiting Egypt, the people are extremely hospitable and are genuine and caring in nature, they will make your stay a memorable one. Jakada Tours Egypt super amazing! They were very attentive with my family, knowledgeable guides, excellent punctuality in the schedules, and willing to help with anything,i went with Fayed Team, the guides ahmed & timo are the best! The driver nouh its a good man and the best driver ! I recommend visiting Cairo and Luxor with this team! We took advantage of Jakada Tours services during our stay last July for the Cairo Daily Tour (during 5 days) with our awesome guide Mahmoud Nothing to say really!! an impeccable quality of the service, a high level of professionalism and knowledge and especially a very friendly and relaxed atmosphere throughout the day despite the presence of our 3 children including 2 toddlers. Thank you very much Mahmoud and drivers !! Since the beginning, Jakada Egypt Tours has focused their efforts on creating quality travel packages specializing in exotic adventures and historic travel in Egypt. Intimate, authentic, and memorable; these are attributes Jakada Egypt Tours strive to provide their clients. The spirit of adventure is very important to them, and they want everyone that books with them to have an exceptional experience in Egypt. Their local guides are not only award-winning, but praised for their friendly attitude and hospitality. Jakada Egypt Tours designs trips for both budget and luxury travelers alike. Many of their trips are geared towards travelers interested in history, adventure, or relaxation (including families). They specialize in Egypt, providing customers with their extensive knowledge of Egyptian tourism and passion for the local area. Some areas included in their tour packages are: Sharm el Shaikh, Hurghada, Aswan, Luxor, Alexandria and Cairo. Traveling with Jakada Egypt Tours means getting the most value for your money. Their philosophy is that adventure doesn’t have to mean giving up comfort. Traveling with with them will take the burden of planning out of your hands, so you can travel hassle free. All trips include: sightseeing and entrance costs, transport, hand-picked accommodation, experienced tour guides, many meals, and more! Jakada Tours Egypt offers you the highest quality and most economical tours on the market. Our daily goal is to deliver the best value and exceptional service to our family of travelers, We treat each customer as a unique individual with unique travel needs. Our enthusiasm of excellent service, innovative tours and competitive prices will make your vacation a valued and pleasurable experience such as day tours and sightseeing trips, We also organize layover and stopover tours from Cairo airport. So please check out all that our website has to offer, and see yourself! Whether you’re looking to organize a romantic escapade with your other half, a Family Trip or an affordable Holiday Vacation Packages, Tailor-made to suit your Budget, we’ve got you covered. Our team of tour operators are ready to make your trip a unique experience that you won’t forget. Sightseeing tours to the great Pyramids of Giza. Visit the Egyptian Museum & The treasures of King Tutankhamun. Three Night on board of Luxury Nile cruise full board. Sightseeing tours to Luxor and Valley of the Kings. Discover the Karnak and Luxor temples. Enjoy visiting the temples by the river side. Discover the top sites of Aswan.